The bad news is that the number one thing holding back Drupal 7 adoption is, of course, the state of Drupal 7 contributed modules, so a lot of my effort this quarter was spent around that problem. Identifying D7 stable release blockers In a post analyzing the effects of the #D7CX movement, a standard tag D7 stable release blocker was established to centrally track all issues across all contributed projects that block a stable D7 release. Since then, nearly 100 of these issues have been fixed. Yay! Tracking Drupal 7 contributed module porting Also launched this quarter was a new site at http://drupalcontribstatus.com/ which tracks the Drupal 7 porting status of the top 50 projects (well, 60; 50 + 10 that were moved into core :P), along with links to get involved to help make them happen sooner (or, take over a project if it's abandoned). The number of these projects with stable releases has gone up from 15 to 34, so we're making good progress there! Note: If you need this sort of reporting for evaluate your own Drupal site's D7 readiness, check out the Upgrade Status module, upon which this site is built. Meeting issue thresholds After tremendous efforts by the Drupal core developers, issue queue thresholds for Drupal core that were set up last quarter got met this quarter. That means D7 has far fewer critical and major bugs (including those that block contributed modules from being ported), and it means that D8 is officially free to take off into the stratosphere. Rock!! Community survey + new initiatives The original Drupal 8 initiatives that were announced in Dries's State of Drupal presentation at DrupalCon Chicago—HTML 5, Configuration Management, Web Services, Multilingual, and Design—encompassed a combinatio of Dries's thinking as well as feedback from 20 of the largest Drupal sites, about where Drupal needed to go. But we also wanted to make sure to get the larger community input into that roadmap as well. 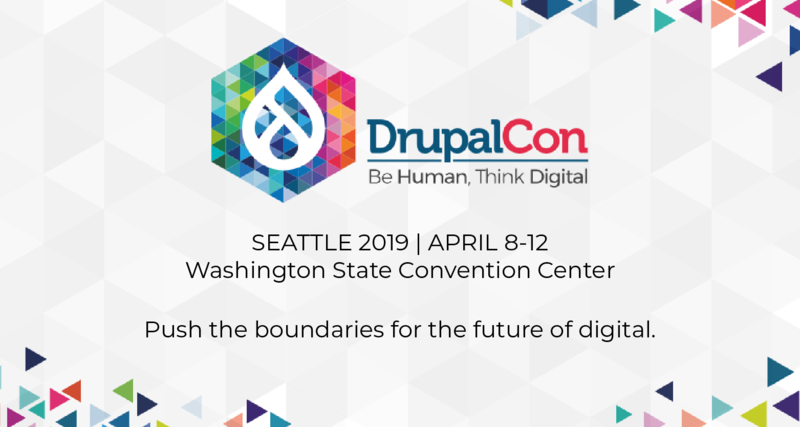 The State of Drupal survey had over 3,000 participants, and directly as a result of that survey some additional initiatives were announced: WYSIWYG, Media/asset handling, Usability/ease of use, Mobile support, Better APIs, Content import/export. This quarter we'll start identifying and announcing initiative leads for some of these, and getting these initiatives bootstrapped. Multilingual sprint I attended the last part of the Multilingual sprint that Drupal 8 Multilingual Initiative owner Gábor Hojtsy organized alongside DrupalCamp Montréal in mid-September. I tried to provide feedback on some UX issues, and generally help out wherever I could. See the excellent wrap-up report that summarizes the excellent work accomplished by the contributors there, as well as next steps. Drupal 8 gates To help ensure code quality, and also to prevent burnout of our seasoned experts in specific areas, one of the major initiatives for Drupal 8 is to define a set of "gates" which document the things to check for in patches before they're committed to core. In our last report, the Documentation gate had been defined as a "template" of sorts. This quarter, we started additional discussions about a Performance, Accessibility, Usability, and Testing gates. Experts on each of the teams put their heads together to try and come up with the 4-6 things that they spent the most time fixing in core, so that we could pass that knowledge along to all core contributors (along with resources for learning more). This work is now visible at the Drupal core gates page, which core contributors and patch reviewers should familiarize themselves with. Drupal 8 co-maintainer! And, of course, one of the most exciting developments to happen to Drupal 8: our new fabulous core co-maintainer, catch! Catch is a brilliant and conscientious contributor, who highly values both performance and reducing complexity. Which makes him a perfect fit for a release where these are two extremely hot-button topics (that also took a fair bit of time this quarter ;)). One of the things that holds Drupal back from being as awesome as it could possibly be is our poor website, Drupal.org (oh, the irony). 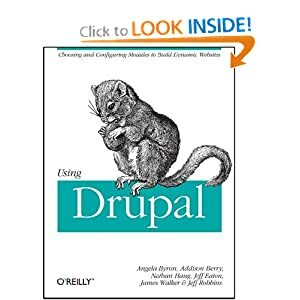 While the Drupal Association has had tremendous success in funding large-scale initiatives such as the CVS => Git migration and the Drupal.org redesign, smaller-to-medium sized improvements have traditionally been extremely difficult to navigate, even for people who are prolific contributors elsewhere in the project. Documenting how to make change on Drupal.org Making improvements to Drupal.org was always possible, it's just that the way to do it was trapped piecemeal in about 10 different peoples' heads. :) A huge initiative this quarter was the Make Drupal.org awesome guide, which documents said heads. See the front page post How YOU (yes, you!) can help make Drupal.org awesome for a step-by-step guide. Unblocking contributors from being awesome To beta test the process that was documented, a group of contributors set off to try and address some of the most severe community performance issues on Drupal.org. Check out the list of improvements completed this quarter by the community. The notable thing about this list is that each of these improvements was implemented by people not on the infrastructure team! Hooray!! Project application process reboot Greg Dunlap, Alan Palazzo and I gave a Core Conversation on the Project Application process, which emphasized actual data illustrating the impact on the community that the process has, and the kinds of things the process catches. Jeremy Thorson has been a tremendous thought-leader in this area, and posted a proposal for automating large parts of this. Feedback welcome! Unblocking distribution blockers One of the biggest opportunities for Drupal is distributions: products built on top of Drupal like OpenPublish and Commons. However, success of distributions has traditionally been held back by sub-standard tools on Drupal.org. This quarter, I spent a bunch of time working with Derek Wright on identifying drupal.org distribution blockers and coming up with a fundraising proposal to help see them fixed (or well on their way) next quarter. I have to say that I'm really proud of the way Acquia responded to these concerns, from Alex opening up a dialog about the question, to our CEO personally responding to concerns, to Dries explaining the rationale behind recent 'Acquiasitions' and his perspective on the influence question. The leadership team at Acquia takes these concerns about community impact very seriously, and their willingness to engage in open and honest dialog with the community is one of the reasons I love working here. Crowd-sourced competitive analysis One of the things that Acquia always has its eyes on is how Drupal fares relative to its competition, and also what we can do to beat them. :) A new group on groups.drupal.org was created called CMS Feature Reviews, to collect posts with in-depth analysis of how other competing products work, particularly where they out-shine Drupal, so we can compile a list of what modules or initiatives exist for making Drupal feature-equivalent. Engineering Week + Gardening Days I was fortunate to be able to attend Acquia's Engineering Week, when all of Acquia's engineering prowess gets into the same physical place to meet each other face-to-face, have key conversations, make progress on development, and of course have a crap-ton of fun! :D One of the itches I acquired this week was making our "Gardening Days" program (two days every sprint where engineers can work on giving back to either Drupal or Acquia) more effective, as well as more visible within both the company, and the larger community. Expect to hear more about that next quarter. Speaking of D7CX, is there suggested tag for core issues that are blocking stable contrib releases (besides "major")? Thanks! AFAIK we don't, and a quick survey in IRC confirmed this, so let's go with "Contributed project blocker". Documented this at http://drupal.org/node/1207020#contributed-project-blocker. It's currently empty, but feel free to fill it! Thanks for this post. It sheds light on many things. I know that I've done my fair share of "user scream"ing, but Drupal is definitely in good hands with Dries at the helm. Keep up the the good work.